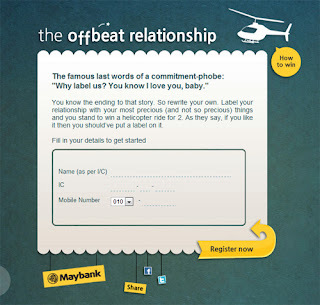 We’ll be rewarding the top 2 with the highest number of offbeat relationship updates. Make sure your statuses are unique, and not just paired with the same thing. You’ll only get one update a day, so remember to come back everyday to win. Win prizes everyday 6pm! Join now!